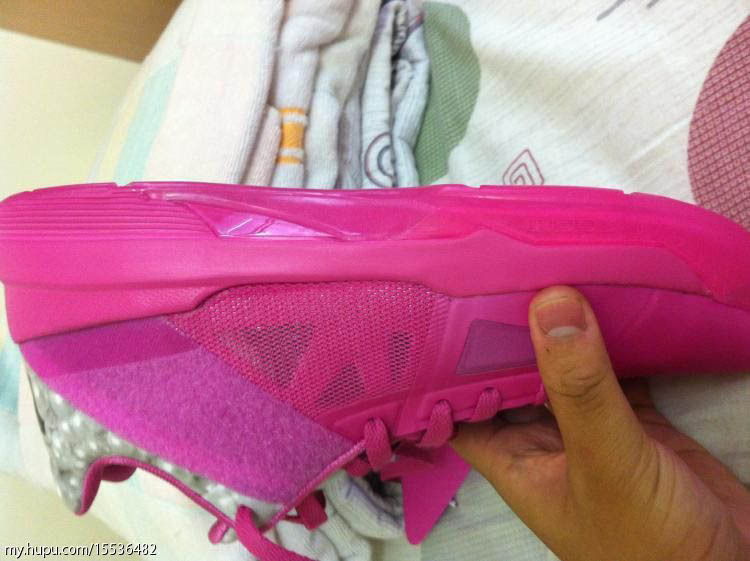 Here's another look at Kevin Durant's Kay Yow Breast Cancer Awareness Nike Zoom KD IV, which also pays tribute to his late Aunt Pearl. 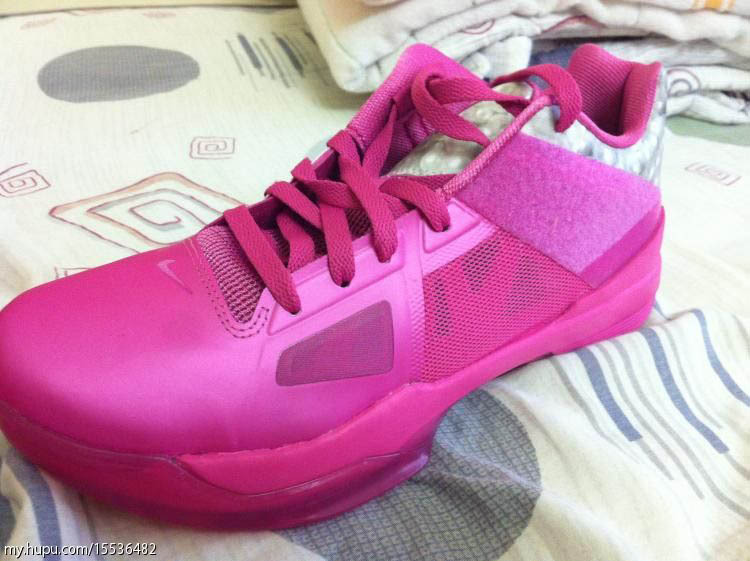 Here's another look at Kevin Durant's Kay Yow Breast Cancer Awareness Nike Zoom KD IV, which also pays tribute to his late Aunt Pearl. 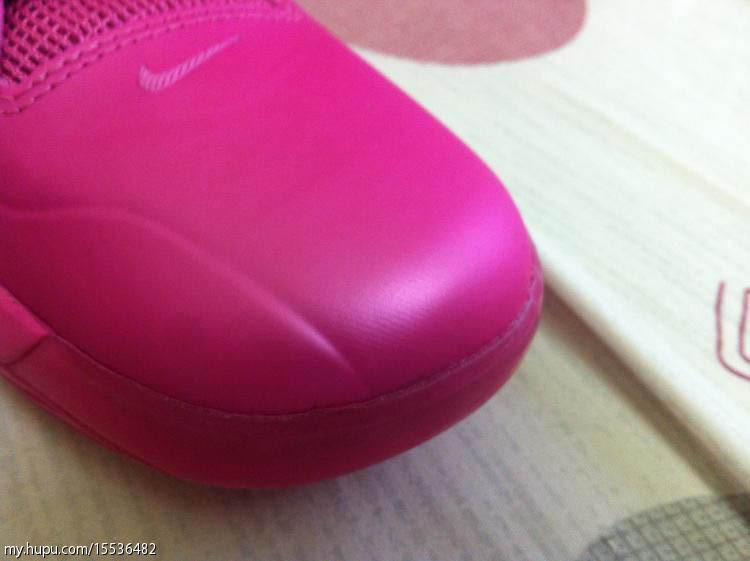 The shoe sports a Pinkfire synthetic upper, largely helped by a unique pearl print on the tongue, around the heel and on the underside of the cross-strap. 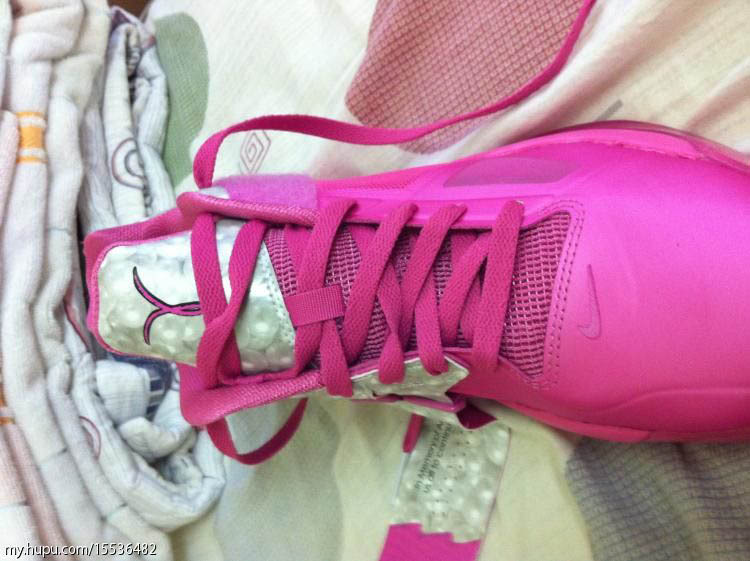 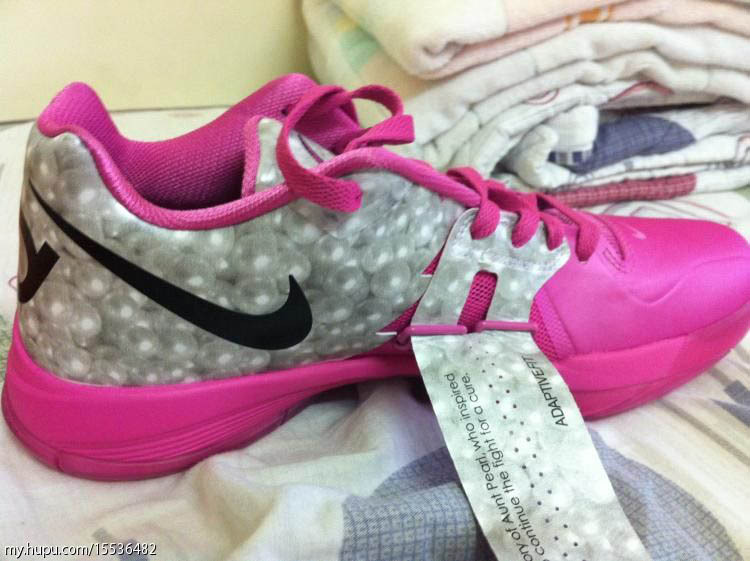 Black works Swoosh branding and KD's logo on the heel, while the famous Kay Yow ribbon is centered on the tongue. 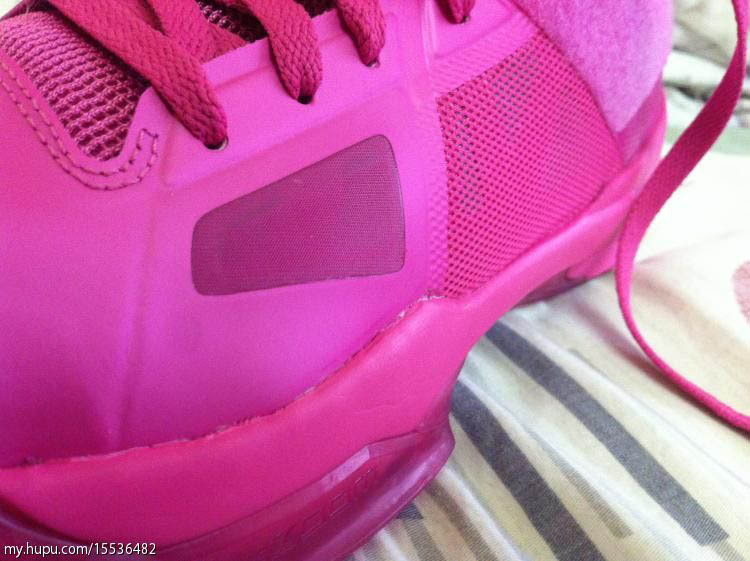 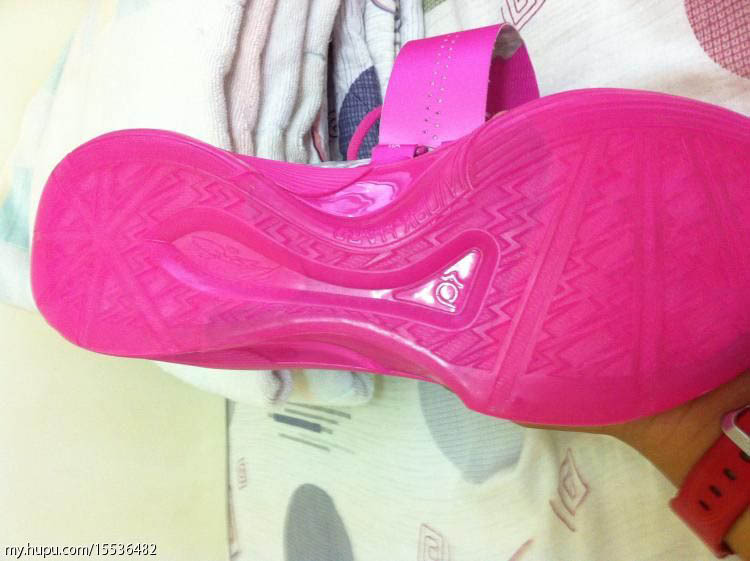 These shots also give us our first clear look at the sole, which is done in pink translucent rubber. 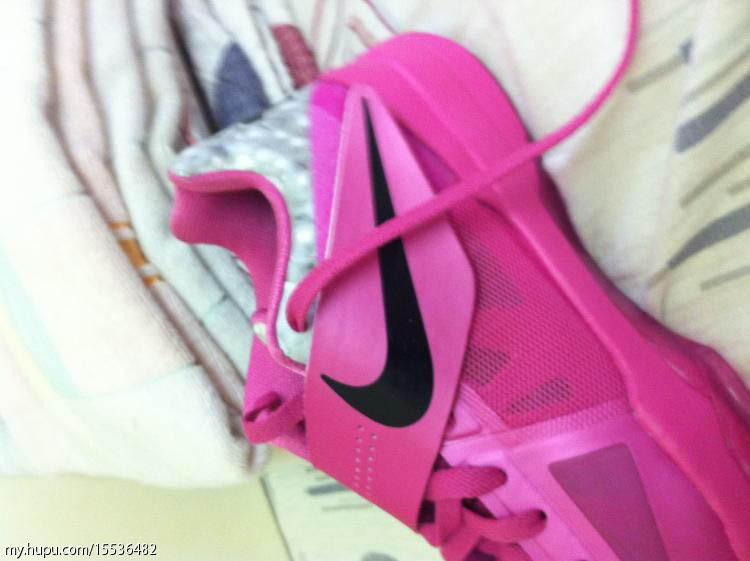 The "Aunt Pearl" Zoom KD IV will be released at select retail locations on Saturday, May 12.